This kit will eliminate the movement of the rear end in the subframe. By replacing the stock rubber mount with this solid billet unit, you'll be able to get rid of any unwanted slop and flexing associated with the stock mounts. Torque Solutions designed this kit to give you better feedback, sharper response, and more predictability on throttle input, along with eliminating annoying clunking during hard shifts. 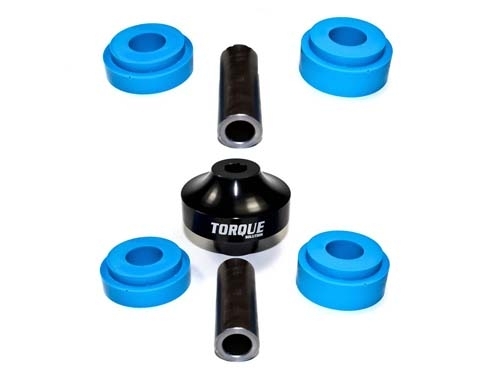 Torque Solution Solid Differential Bushing with Urethane Inserts for your 2008+ Evo X MR & GSR.